Our rundown of some of the best family-friendly titles playable now on PS4 – best of all, the majority support multiple players on one console. 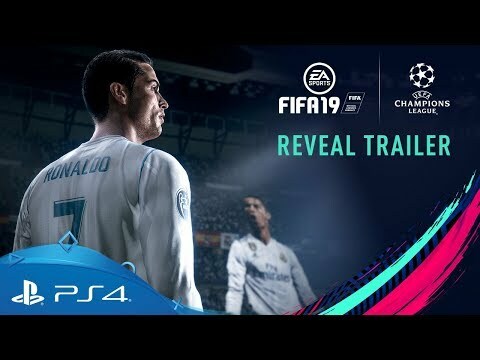 Bring the entire UEFA Champions League into the comfort of your front room and recreate the thrill of the beautiful game from the sofa. Featuring real-world teams, internationally-renowned players and incredibly realistic play physics, it's the perfect way to recreate your ultimate fantasy face-offs. Moreover, if you want to spice things up, you can always set your own House Rules and add a unique spin to the match. Football meets rocket-powered super cars in this chaotic, fantasy mash up for up to four players. All you need to is grab yourself a ride that suits - from quick and zippy to sturdy defense - customise the look (paint-jobs, decals, etc) and then tear across the pitch chasing a football the size of small planet and put more goals in the oppositions net than they put in yours. Not necessarily as easy as it might sound, but a heck of a lot of fun. 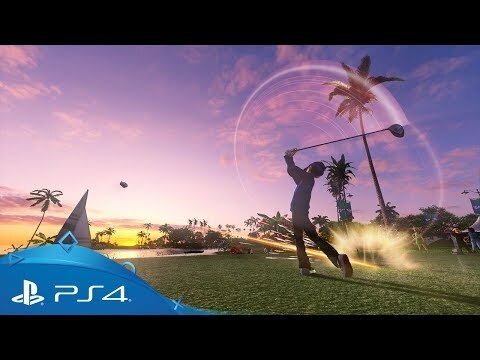 Cute and colourful, Everybody’s Golf is more ‘pitch-and-putt’ than PGA Tour, with intuitive controls and the chance to create your own goofy in-game avatars. At the same time, it’s a straightforward affair with rules that’ll be familiar to anyone with even a basic grasp of the sport: club, balls, hole… join them all together in the fewest possible strokes, and do try to avoid the bunkers! Much as the name suggests, NBA 2K Playgrounds is developer 2K's footloose and fancy-free alternative to its cutting-edge, mainline basketball series. 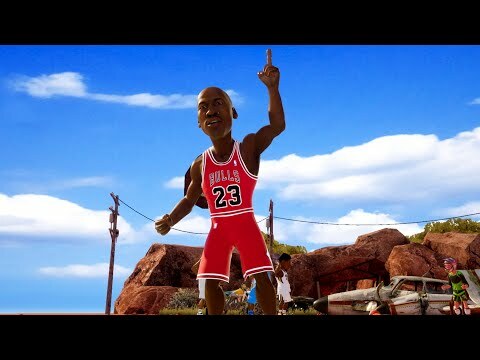 Putting a fun, artistic spin on the visuals and grounding the gameplay in a more straightforward series of dribbles and slam dunks, its designed to be competitive, irreverant and, above all else, jolly good fun. WIth a brightly-coloured cavalcade of shambling characters to choose from, Gang Beasts is not your typical pay-per-view wrestling event. 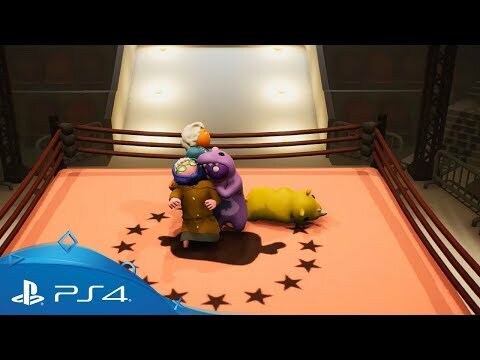 Get into the ring with up to three other players and wrestle sumo-style to push one another out of the arena. It's all completely bonkers, over-the-top and more often than not, very very funny. Best of all, the controls are so odd and unpredictable that gaming veterans and complete beginners will find themselves on unexpectedly equal footing. The sequel to the videogame inspired by the movie that was inspired by the videogame series... a mind-bending lineage, but a very straightforward videogame! 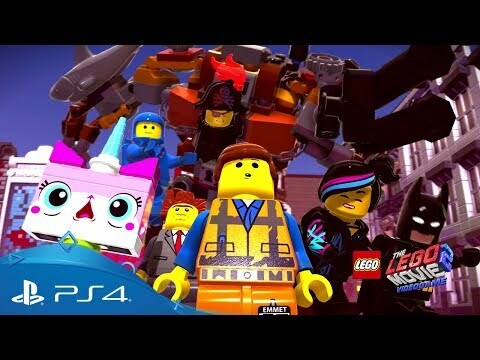 Exactly as the title suggests, The LEGO Movie 2 Videogame is the playable partner to the blockbuster Warner Brother's movie, including hours family-friendly adventure, LEGO's daft sense of humour and a cast of your favourite characters (alongside some new faces). 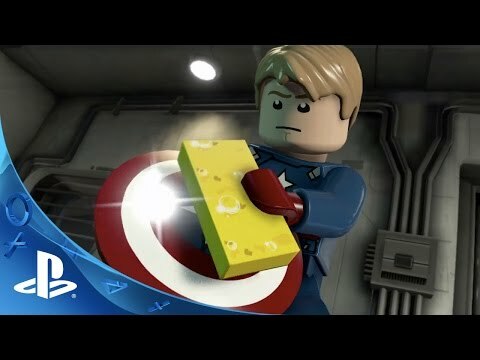 Assemble your Avengers for an adventure based on the blockbuster movie franchise and save the world by playing as Marvel’s most powerful heroes – including Hulk, Iron Man, Thor and many others (more than 100, in fact). There’s a big world to explore, and heroes are free to roam around, collecting gold bricks and studs, rescuing new characters and building as they go. Focus on the storyline and there are plenty of powers to try out and ways to team the Avengers up in battle as you visit iconic locations from the Marvel Cinematic Universe. Need something for little hands? Designed with smaller hands in mind, these officially licenced controllers from Hori are perfect for younger players and come in a range of colours - check with local retailers for more information. 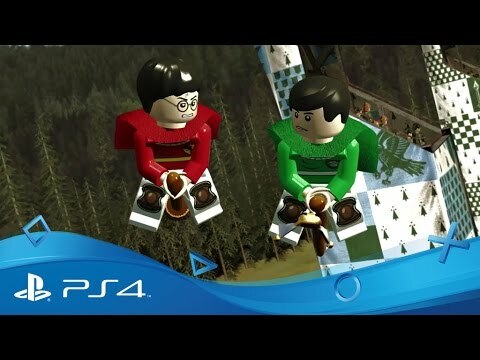 The wizarding world of Harry Potter is a favourite with kids, families and adults alike, and with this spellbinding PS4-remastered collection, you can relive each of the much-loved books and movies. It’s all here, from Harry, Hermione and Ron’s first days at Hogwarts to the final showdown with Voldemort, brought to life with the tongue-in-cheek humour that makes these games such a joy. There are puzzles to solve, secrets to find and lots of LEGO to build along the way, so even kids who’ve seen the movies countless times will find new things to keep them busy. 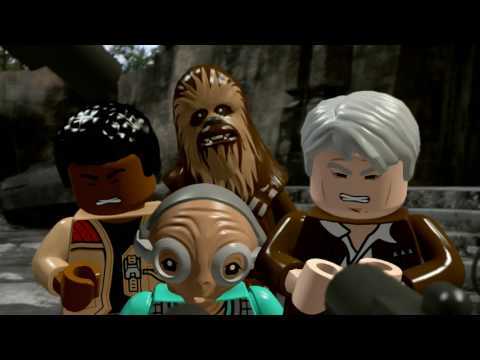 Send the rebels in your family to a galaxy far, far away with the incredible LEGO version of Star Wars Episode VII: The Force Awakens and embark on an adventure to stand against the First Order. As well as building and battling as Rey, Finn, BB-8 and Han Solo through their big-screen storylines, the addition of Blaster Battles and Multi-Build game modes adds a new dimension to the action. Here you can jump into fun-packed firefights with Stormtroopers, or create LEGO structures that can shape the path your journey in the main game. Get mixed up with some marsupial mayhem with three hit games collected in one great package. 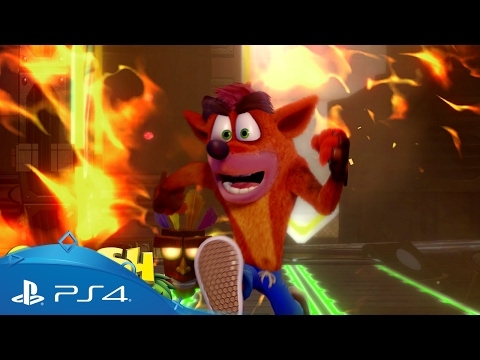 Recreated with a fresh PS4 spin, Crash Bandicoot, Crash Bandicoot 2: Cortex Strikes Back and Crash Bandicoot 3: Warped have never looked better. Whether you choose to whizz around as Crash or his sister Coco, Crash Bandicoot N-Sane Collection delivers iconic characters and accessible fun that anyone can pick up and play. Take flight with the little purple dragon that can. Spyro’s platforming adventures have become synonymous with PlayStation, so if your kids missed his fiery exploits the first time around there’s absolutely no excuse now. 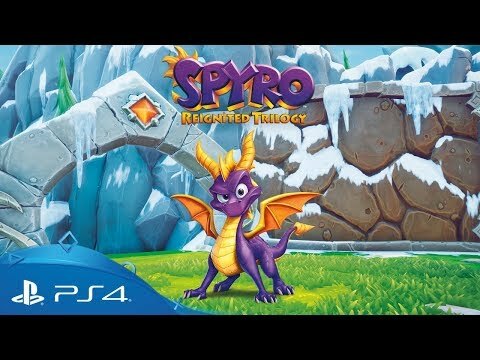 Fully remastered for PS4, Spyro Reignited Trilogy gives a red-hot HD makeover to the series’ three biggest adventures: Spyro the Dragon, Spyro 2: Ripto's Rage! and Spyro: Year of the Dragon. Flying, family friendly combat and some whacky mini-games are sure to keep everyone entertained in this value packed bundle. Fancy saving the galaxy as the supreme sci-fi double team? Ratchet & Clank takes the PlayStation 2 original and updates it for a modern era, making it the perfect starting point for kids looking to go on an intergalactic adventure. 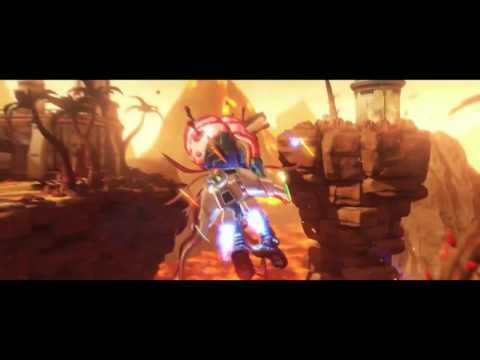 Part of Ratchet & Clank’s fun comes from the duo’s out-of-this-world arsenal at your disposal. Rather than your average ray guns, imaginative weapons such as the dance-party-inducing Groovitron and the livestock creating Sheepinator rule the roost. Two quirky heroes and rowdy humour are all part and parcel of Playtonic Games’ open world platformer. 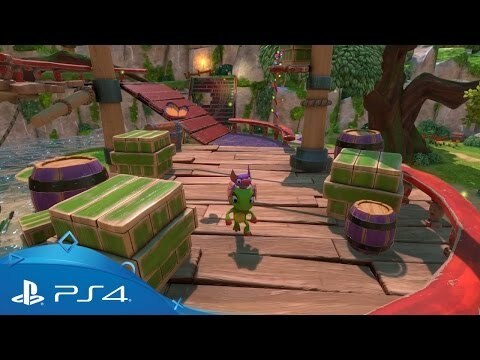 Aping the style of old school collect-a-thons but given a modern polish, Yooka Laylee’s memorable cast, catchy soundtrack and colourful zaniness all add up to a wonderful romp, made even better with a co-op mode where a second player can help out by stunning enemies and collecting items – perfect for younger members of the family. If you have two more players wanting to join in, there are eight four-player mini-games to enjoy, ranging from karting to obstacle courses. If you can imagine it, you can build it. Gather your family of blocky characters and start farming resources as you explore this procedurally generated sandbox. Join Sackboy and his cute hand-stitched friends as they explore the mysterious planet Bunkum in this delightful platform adventure. Work together and use the lovable heroes' unique abilities to conquer any challenge thrown your way. Outside the story campaign, you’re free to create your own levels to challenge your loved ones with. Things can get hectic in the kitchen. 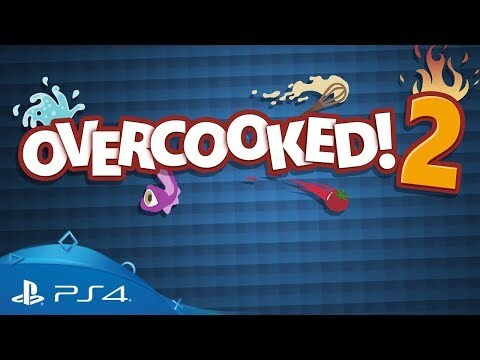 In Overcooked 2 - it gets straight up chaotic. Rally the kids and defend the Onion Kingdom against a horde of undead bread (the Unbread). Work with your kids (or against them) as you deal with everyday kitchen hazards such as fire, collapsing floors and floating work surfaces. You’ll have tonnes of fun and teach your young ones some important life skills. 10/10 parenting. Keep your youngsters safe, moderate their playtime and make sure they only have access to the content you feel is appropriate. 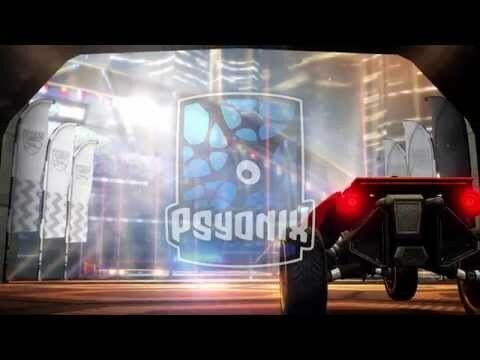 It's easy to control all this and more on PS4. 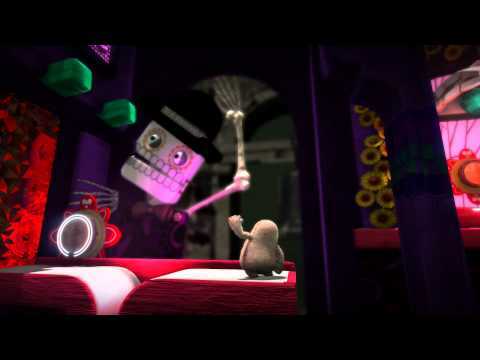 Help a diminutive messenger deliver an important package in this papercraft-inspired adventure from the creator of LittleBigPlanet and Dreams. It’s a journey filled with fun quests, unforgettable characters and perilous platform action. Tearaway makes inventive use of the Dualshock 4’s features for standout gameplay moments: use the lightbar as a torch, draw items on the touchpad and more. A second player can join in the creative fun and design items with a smartphone or tablet. Average playtime: Minutes to hours - as much as you like! 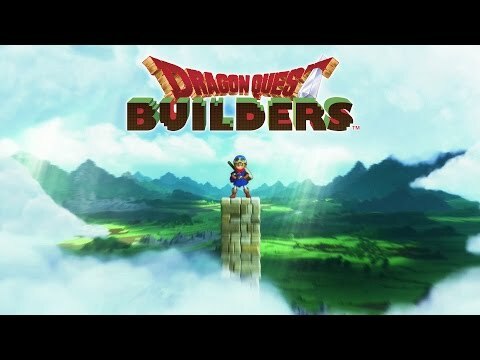 There’s no avoiding the inspirations behind this world-building sandbox twist on Square-Enix’s iconic RPG series, but Dragon Quest Builders is much more than a fantasy-spin on Minecraft. Laying blocks will be just one part of your in-game livelihood, as you attempt to rebuild and fortify towns to give villagers a new home and protect them from attacks. Like the main series, Dragon Quest Builders will load you up with questlines that’ll have you exploring multiple regions and battling beasties. Save the world and rebuild it? Sounds like fun. 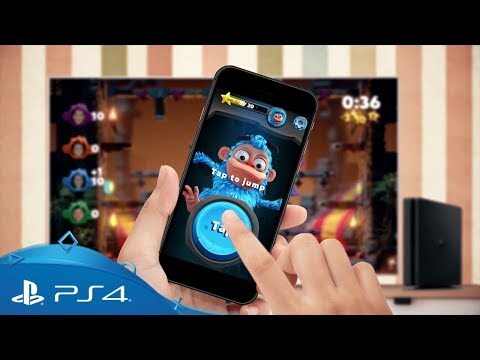 PlayLink’s hilarious multiplayer game packs in 18 party modes, and has a simple one-button interface making it a perfect introduction to gaming. Its short, score-based rounds allow for quick games that are a perfect fit for activity-filled evenings or days. Download the free App onto your smartphone to control your chosen simian and get swinging! Intensity: 3/5 – Uno can get competitive quickly! 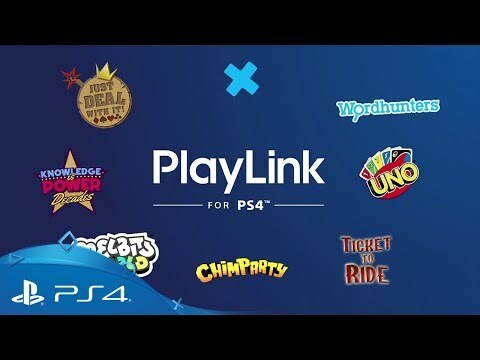 The classic card game is a perfect fit for the burgeoning PlayLink series. No additional DualShock 4 controllers are required, just download the app on your smartphone or tablet and get stuck into a few rounds of a family favourite. Just the thing for a long holiday weekend! Guide cute creatures through a series of fiendish levels in this cute, collaborative puzzle-platformer. Team up with friends to navigate platforms, obstacles and traps, while dodging evil viruses and spreading good vibes across the internet. 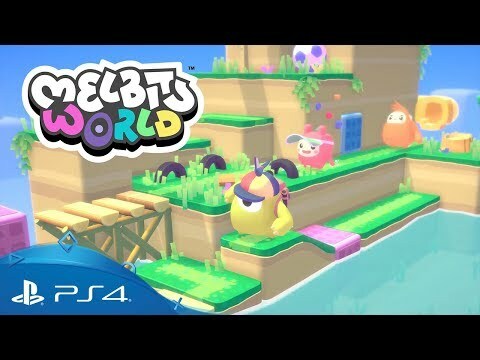 Melbits World is part of the PlayLink range, meaning you don’t need multiple DualShock 4 controllers to play. Just download an app to your smartphone or tablet and control the action via the touch screen. Got some musical youngsters in your household? Let them loose on Singstar Celebration and have them belt out pop classics at full volume. 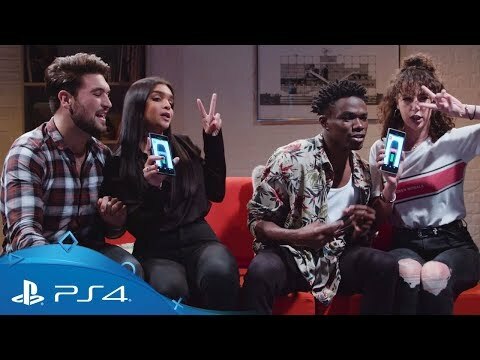 Whereas in past iterations of the game you’ve needed additional USB microphones to join in the fun, on PS4 you can just download the Singstar app and holler straight into your smartphone! Nothing brings out the best in families like a nice, friendly game of Monopoly, right? Monopoly Plus on PS4 brings the classic boardgame to your TV screen in full 3D, with a range of gameplay options – so you don’t need to worry about missing pieces or dubious interpretations of the rules.